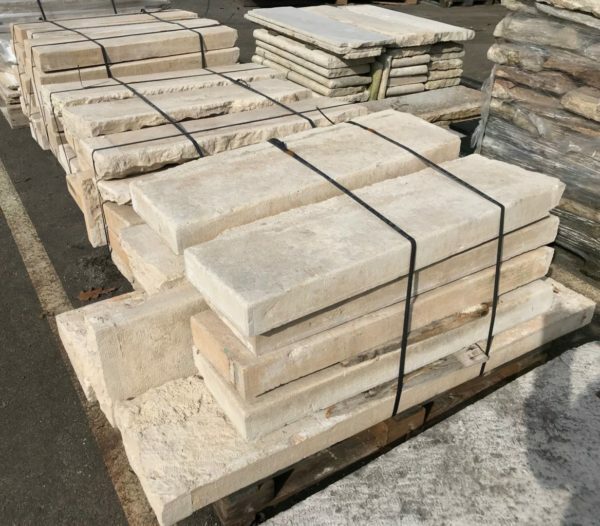 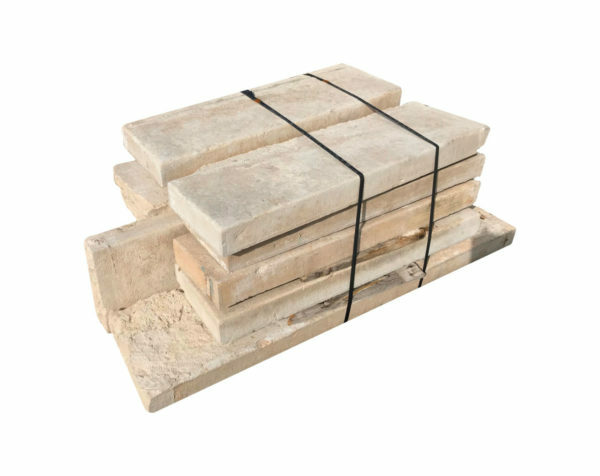 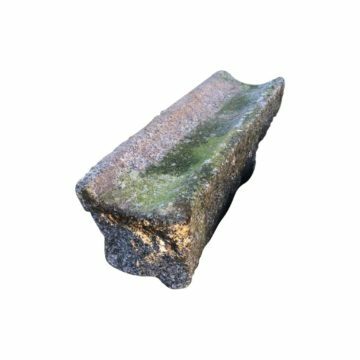 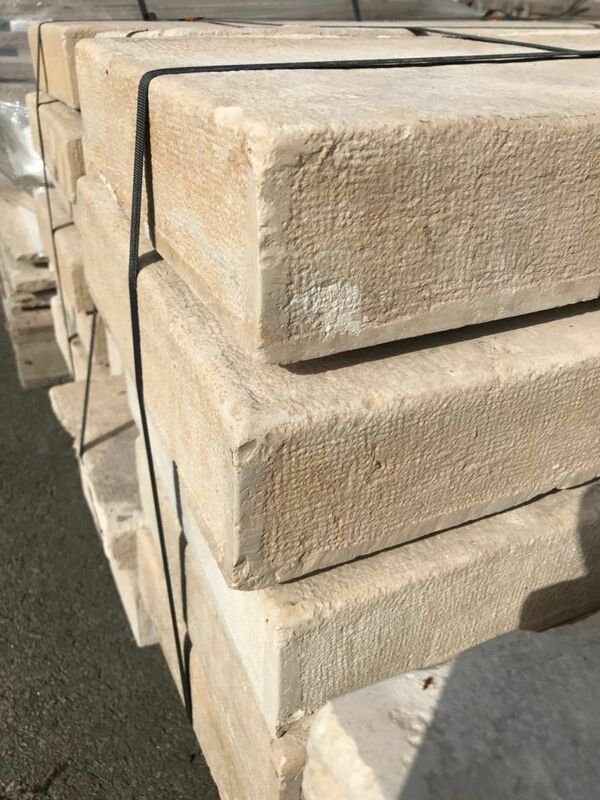 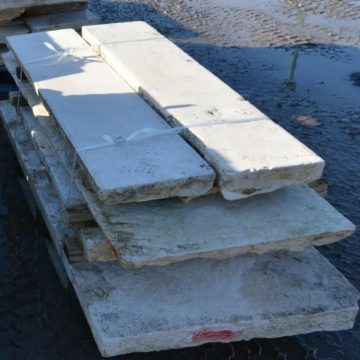 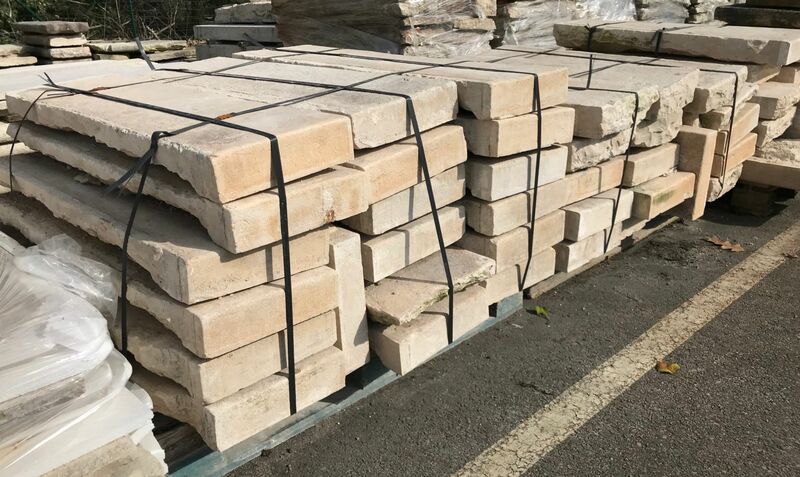 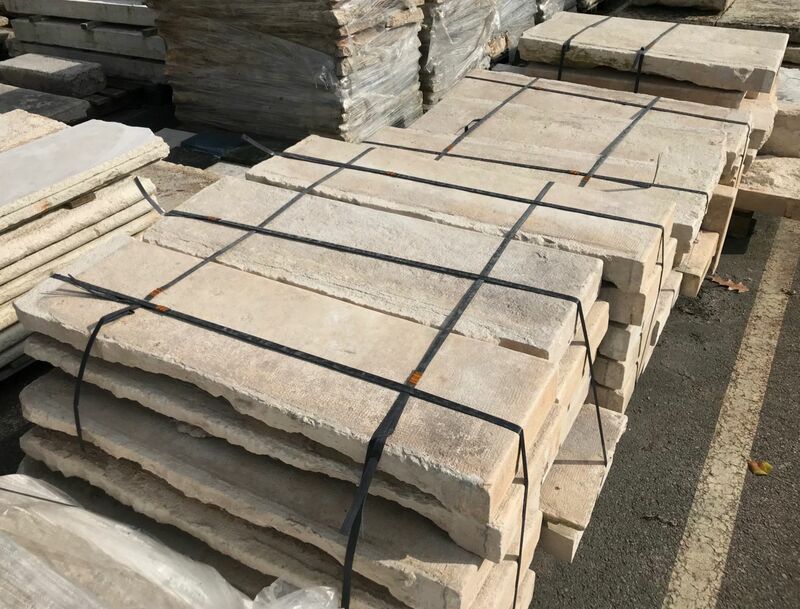 Antique reclaimed limestone steps : Exceptionally neat and tidy set of antique reclaimed limestone steps or stair treads. 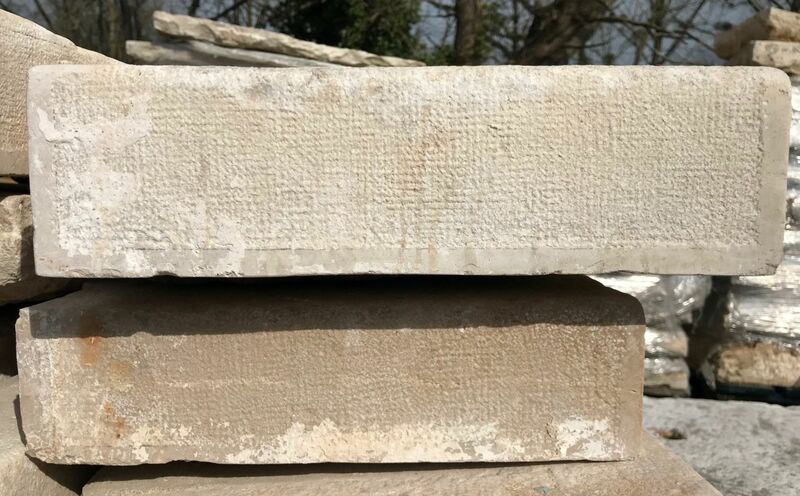 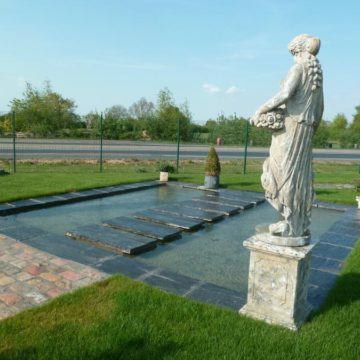 The hand-tooled marks are particularly fine, and although these steps don’t display a lot of wear, they are unmistakably antique reclaimed, in a high-density Bourgogne-type limestone. They date from the 19th century. adding their lengths = 53 linear metres. 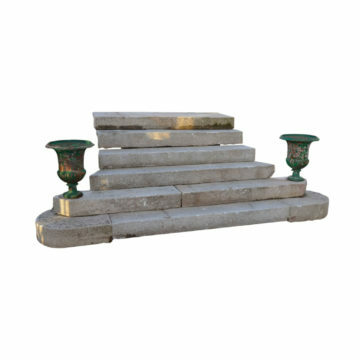 front-to-back Overall total of steps adding their lengths = 53 linear metres.